Anyways here are the LOs I managed to get done! Based on one of Hillary H's sketches... my girls with the other kids that they are babysat with sometimes. My all time fave this weekend goes to this LO. 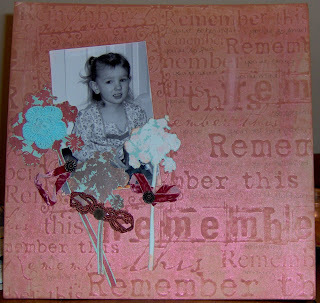 I used the 12x12 Prima chipboard, went crazy with the pink glimmer mist, and then distressed over with Rangers tea dye ink. It looks so cool IRL! 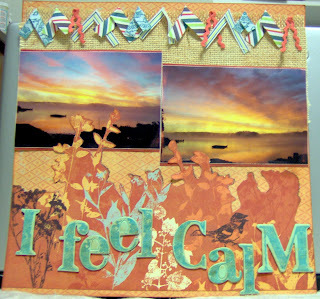 This was made with the BG Feb kit too... I used the walnut gold glimmer mist on the red CS.. I mean I soaked it... so it looks quite aged too..lol Then i just went to town with the rest..LOL This looks so distressed IRL! 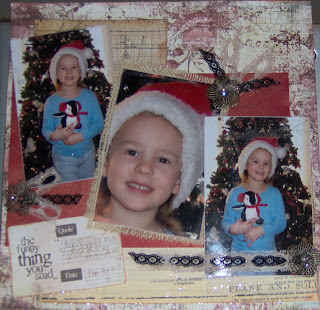 I used one of my page kits from Scrap-room for this LO.. The vellum flowers are from a seller at Etsy... love the handmade look of them. wow you really did scrap man, these are awesome, I so wish I could see the distressing you did with the ink, and mist IRL. I want to try that out. 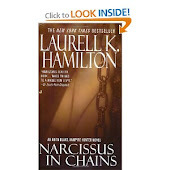 I can see your muse at play here for sure. I still can't believe how much you are scrapping! Wow! Your pages are awesome, and it sounds like you're having fun with it. 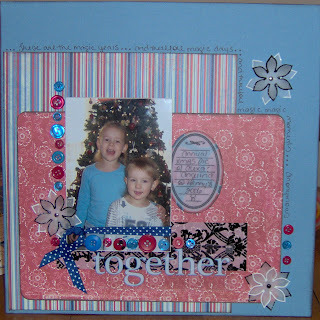 Love tthem all and especially the last one the Together page... love the look and the colors! Great job! Girl, you've been BUSY! Love all your LOs! Great job!